Want to increase your Revit productivity? Using Revit but want more? Take the pain out of creating and managing your drawing sheets, increasing productivity and ensuring consistency. Tired of entering the same information over and over again? Xrev it! Problems with enforcing Office Standards? Xrev it! We have now introduced a new pricing structure for Xrev Transmit, at a much lower price point than our previous pricing model. Xrev Transmit and the Xrev Freebies suite are now also available for download from the Autodesk Exchange App Store. 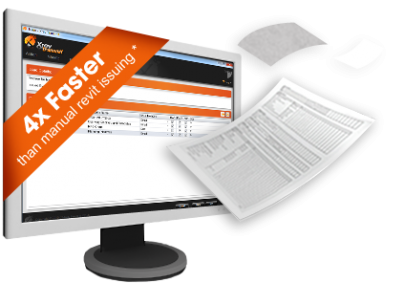 Xrev Transmit is the ultimate print, export & transmittal tool for Revit users. Streamline the tedious task of issuing your Revit drawings and increase productivity 4 fold! 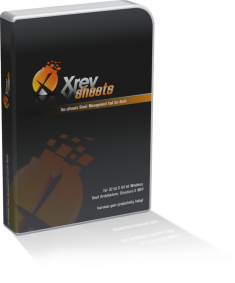 Xrev Sheets is coming soon and compliments Xrev Transmit by automating the tedious tasks related to Autodesk Revit “sheets” to save you time and money.